Atomic Fez Publishing, 9780986642418, 336pp. Witty, charming, handsome and a skilled conversationalist, Alison Mornay's ex-husband is also a biology prof at Ottawa U. His specialty is a rare breed of frog found primarily on the east coast of Colombia. His colleagues and students love him; one of them even married him. But when a string of apparent heroin overdoses leads to the death of a very odd assortment of people - including Lee-Ann Boudreaux, a human resources specialist at the university, and two Byward Market prostitutes; one male, one female - Detective Constables Morrow and Crowther start looking a little more deeply into Dr. Gerry Scott's field of study, and the Ottawa U biology lab. Other than cause of death, there doesn't seem to be any connection between the victims, which makes Morrow and Crowther think they're dealing with a serial killer who's both highly intelligent and absolutely ruthless. But will they be able to cover the distance between Eastern Ontario and Muskoka fast enough to prevent a fourth murder? And will they get enough evidence to arrest their serial killer before he outwits them yet again? They looked at each other, sickened in the pale rind of the street lamp. That woman doesn't deserve to die, Morrow told them. Not that way. Not any way. 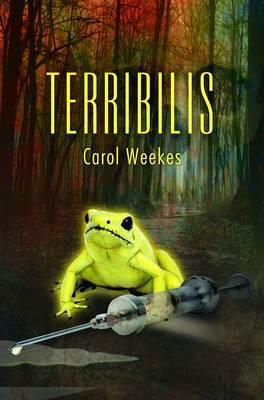 Mystery, thriller, and medical drama, Terribilis is an uncomfortable journey into a 21st century heart of darkness.